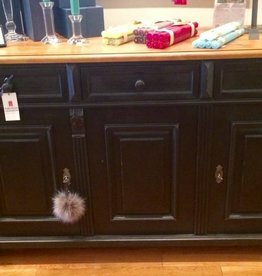 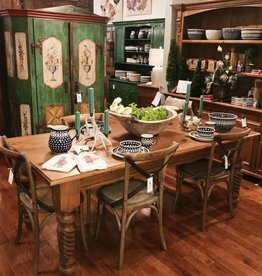 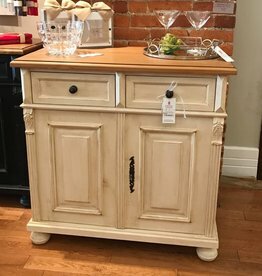 Solid wood buffet, painted black (distressed), natural top. 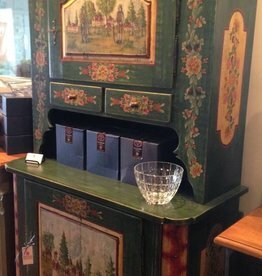 Newly made European cupboard, painted by a spectacular European artist. 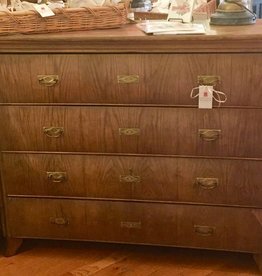 Amazing reconditioned late 1800s chest of drawers!